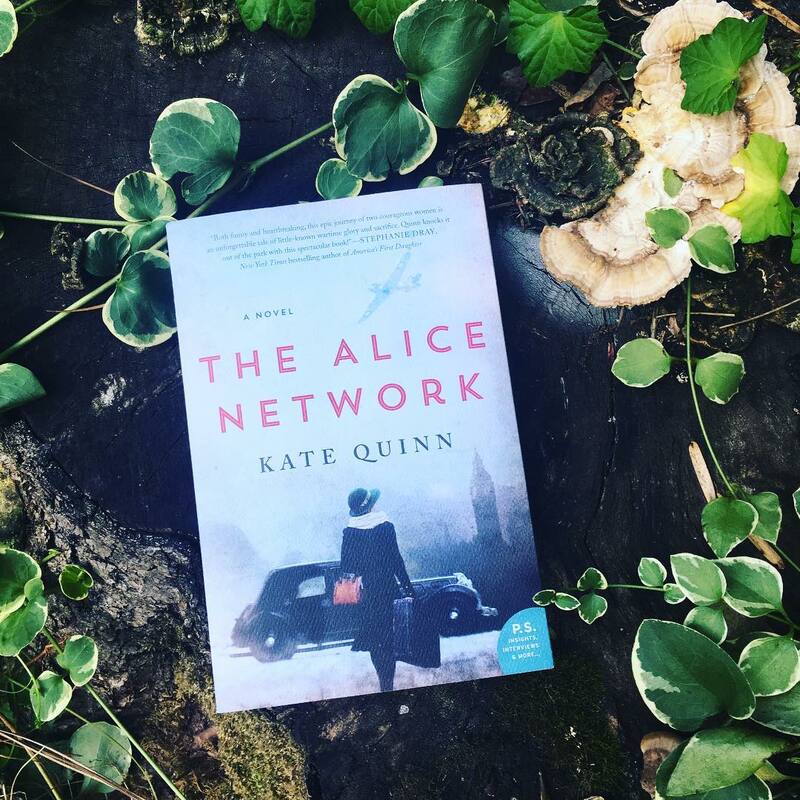 The Alice Network by Kate Quinn was on my radar because I knew how much Kelly from Belle of the Literati loved the author's Rome series. While I'll try those books someday, I was way more curious about this new release because I love these time periods. I requested it for review and was so excited when it arrived. Kelly read it first and immediately raved about it, so it didn't take me long to dive in. And I'm so happy that I can say this is one of the best books I've read this year and has become a new all-time favorite! This is the story of two women — a female spy in the real-life Alice Network in France during WWI and an unconventional American socialite searching for her cousin in 1947 — who are brought together in an unexpected way. In 1947, Charlie St. Clair is pregnant, unmarried and desperate to find her cousin Rose, who disappeared in Nazi-occupied France during WWII. Her search brings her into the path of Eve Gardiner, a former spy during WWI who now spends her days secluded and drinking to forget a betrayal from long ago. Eve is reluctant to help Charlie, but a single name leads them on an unforgettable search for the truth. Y'all, this book somehow managed to be funny, inspiring, heart wrenching, anxiety inducing and romantic. Do you have emotional whiplash from that sentence? Just wait until you read the book! I'm not usually a fan of dual timelines, but it was done perfectly. That's HUGE coming from me. Somehow, Quinn made me so invested in both stories. I never wished that one timeline didn't exist or took up less time. I loved both equally and felt both were absolutely necessary. The structure was crucial and added so much. In addition to loving both stories, I was blown away by both heroines. They're such strong women - but in very different ways. They're both unconventional for their time, and it made me love them all the more. I loved the challenges they both overcame and how they helped each other find and face the truth. I was rooting for these women! I adored the setting and how the two time periods were distinct but complemented each other so nicely. The mystery that brings them together was compelling, tightly paced and so emotional. Quinn's writing was so lovely, too. The story came alive because of her skill with words! Honestly, I loved absolutely everything about this book. Do you see why I have a hard time writing reviews for books that I love? I could keep praising it, but I think the gushing gets old after a while. If you're a fan of historical fiction, YOU MUST READ THE ALICE NETWORK. Sorry for the yelling, but I think it's necessary. Don't miss out on this story - it's one I haven't stopped thinking about and will be recommending repeatedly!